As we sit in the birthing room or care giver’s office after learning of our baby’s death, our primary focus is survival – just getting through the next few hours. It does not occur to us that a month or two from now, we will be reliving these moments again and again – scouring our brains for one more tiny fact to try to spin a memory from. If we are lucky, our doctor or primary care giver encourages us to overcome any secret fear we may have and hold the baby, giving us a few precious moments which must last a lifetime. Even in the case of babies with severe deformities, there is beauty enough to outweigh the horrors of our nightmares. Giving the baby a name and having the baby baptized or blessed, if such rituals are important to us, are ways for us to acknowledge the reality of the life that has come and gone so quickly. Note: HAND and other organizations provide special memory packets to help you organize and store your keepsakes. If your doctor or hospital cannot provide one, contact HAND directly. Local custom in your community regarding burial or cremation of stillborn or newborn infants may or may not recognize the needs of the bereaved parents. Hospital and funeral home staff may think they are doing you a favor by discouraging you from planning an elaborate ceremony, especially if the family does not own a burial plot. In such a situation, it is best to trust your own instincts and insist on what feels right for you. Depending on health regulations in your state, you may be allowed to transport the baby from the hospital to the funeral home yourself. You will want to pick out the baby’s funeral clothes, and the funeral home may allow you to assist in washing and dressing the baby. You may want to have a private funeral service at the grave site, or you may want to hold a formal religious ceremony for a large gathering of family and friends at the cemetery, at a place of worship and/or in your home. 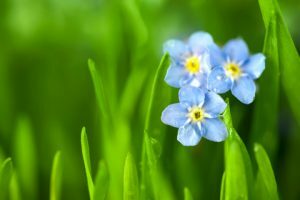 Because the latter may be difficult to organize while the mother is still in the hospital and because parents in the early stages of grief may not be able to recognize their need to memorialize their child, it is not uncommon for parents to hold memorial services months and even years after the actual death. As at the hospital and funeral home, parents may or may not find that their needs are appreciated at the local church or synagogue, where a technical interpretation of religious “obligations” too often fails to match the feelings of the mourners. Getting the word of your loss out to friends and relatives who are anxiously expecting news of a different sort will be an extremely painful chore. One way of minimizing the immediate pain and at the same time preventing awkward encounters later down the road is to send out birth/death announcements. Very tasteful and sensitive cards for this purpose are offered for sale by a number of the national support groups mentioned in the Resources Menu above. The years following the death of our children are studded with meaningful anniversaries: the date the pregnancy was first confirmed, the date we first heard the heartbeat, the anticipated “due date”, the date the baby was born and the date the baby died.